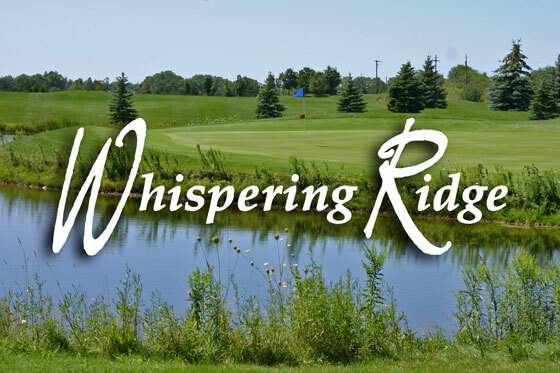 A local favourite, Whispering Ridge is an 18 hole course consisting of 4800 yards of rolling terrain. Crisp bent grass fairways and well maintained greens are par for the course. Whispering Ridge challenges better players to deliver precise iron shots, and is a great layout for average players to enjoy a sunny day outdoors. There is something for everyone at Whispering Ridge.